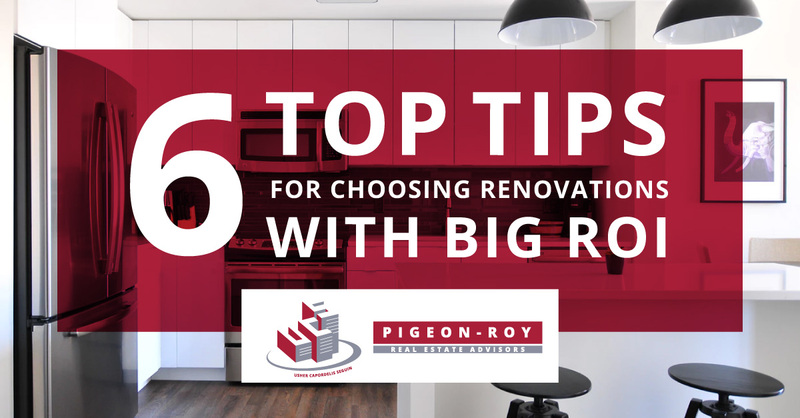 As a homeowner looking to sell, it can be a tough call knowing which renovations will actually increase the value of your home, and which will simply eat through your wallet without offering a substantial return on your investment. It’s important to recoup the costs you put into your home, and making the right choices when it comes to renovations can not only affect the price at which you sell, but also how quickly you sell! The most important thing is to focus on adding value and functionality over a personal aesthetic flair—especially since the former is universal, but the latter is largely a matter of taste. This is an especially popular choice for older homes—if your front door looks like it was installed in a year beginning with the number 19, then it might be time for an upgrade. While there is an aesthetic value to replacing your front door with a new steel door, there are also practical benefits as well, including better energy efficiency and increased security. A brand new garage door is also a worthwhile investment when looking to sell. Speaking of energy efficiency, adding insulation to your home, especially in the attic, is a relatively inexpensive renovation—but one that can have a return of more than 100 per cent. The appeal to a better-insulated home is that it’s less expensive to own in the long run, as the new buyer will be spending less on heating and cooling. This is one of the most common “ongoing projects” a lot of homeowners face. While finishing your basement is likely to consume both time and money, imagine the relief in a prospective buyer when they realize they won’t have to do it themselves. Finished basements can make or break a sale and add serious resale value. While minor updates to kitchens and bathrooms are shown to give you a boost in resale value, there’s an inverse relationship between how extensive your remodel is and how much you’ll recoup. Instead of going all-out, look at the details—fixtures, countertops, appliances—and remember to focus on functionality. Adding a bathroom to your home is an expensive process, and will not add tremendous value—but if yours is a three-bedroom home with only a single bathroom, it could make or break a sale. Never build a superfluous add-on; these should only be added in special cases. These can be filed with new doors and added insulation in the “energy efficiency” department—replacing older windows with newer models can improve your home’s heat retention in the winter while reducing heat gain in the summer. Increasing the size of your windows will be more expensive, but if done right, you’ll add a lot more natural light to your home, which can be a major draw for homeowners.